Once upon a time, personnel departments existed to simply find warm bodies to fill vacancies. Today, the best companies realise that success requires more than just hiring anyone. Talent acquisition is a strategic business function that helps businesses to grow by not only finding people to fill vacancies but specifically finding the best people to support the company’s goal. While personnel departments simply focused on hiring, talent acquisition has a strategic focus on employment branding, recruitment marketing, sourcing, recruiting, and induction tactics to support a company’s overarching strategic goals. What is a Talent Acquisition Suite? 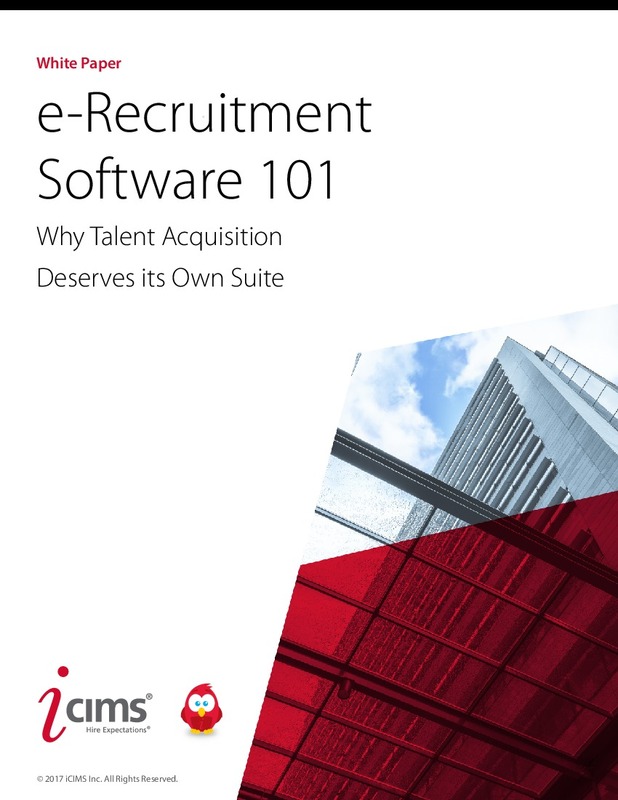 A talent acquisition suite is a fully integrated set of software products that empowers talent acquisition teams with sourcing, applicant tracking, and induction capabilities. Of course, a talent acquisition suite does not stop there. Beyond the basics, a talent acquisition suite offers features that facilitate employment branding and consistent internal and external communications while streamlining overall talent acquisition processes. 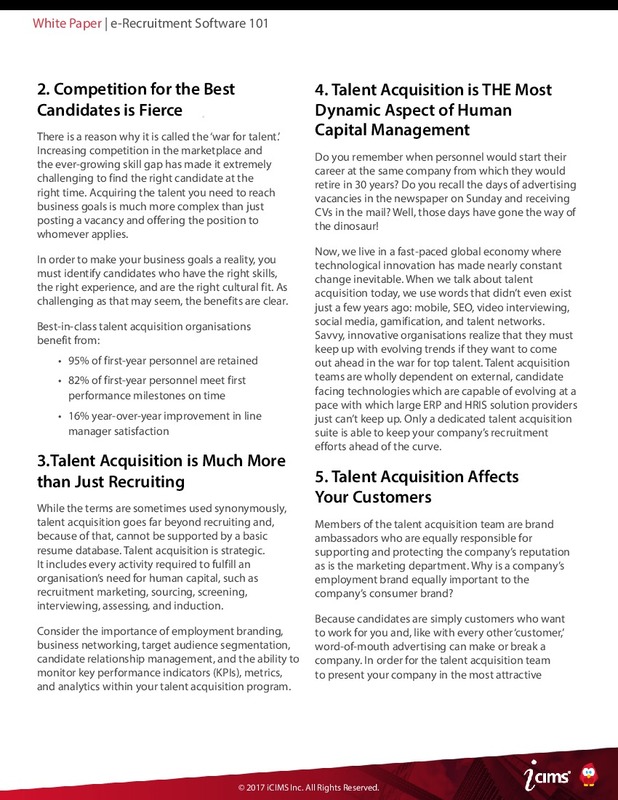 A best-of-breed talent acquisition suite will also provide access to automated, tried-and-true talent acquisition methods, such as automated job board posting, as well as facilitate new and innovative recruitment approaches like mobile portals, video capabilities, career microsites, and social media recruitment. Why Does Talent Acquisition Deserve a Suite of its Own? Considering the importance of the talent acquisition team as a strategic business partner, members of the talent acquisition team need dedicated tools to succeed. Unlike post-hire employee data management solutions – which ‘live’ in the relatively controlled confines of a company’s existing culture and operations – truly effective pre-hire solutions need to leverage the latest social and mobile functionality to compete in what is an extremely vast, fast-paced, and uncontrollable external candidate landscape. And the technologies used in the external candidate world evolve at a rate that most ERP and full-­suite providers simply can’t keep up with. By comparison, a talent acquisition suite focuses on the candidate and line manager experience, ensuring that customers have the right tools to attract, communicate with, engage, and retain the best talent. There is a reason why it is called the ‘war for talent.’ Increasing competition in the marketplace and the ever-growing skill gap has made it extremely challenging to find the right candidate at the right time. Acquiring the talent you need to reach business goals is much more complex than just posting a vacancy to a job board and offering the position to whomever applies. In order to make your business goals a reality, you must identify candidates who have the right skills, the right experience, and are the right cultural fit. As challenging as that may seem, the benefits are clear. While the terms are sometimes used synonymously, talent acquisition goes far beyond recruiting and, because of that, cannot be supported by a basic CV database. Talent acquisition is strategic. It includes every activity required to fulfill an organisation’s need for human capital, such as recruitment marketing, sourcing, screening, interviewing, assessing, and induction . Consider the importance of employment branding, business networking, target audience segmentation, candidate relationship management, and the ability to monitor key performance indicators (KPIs), metrics, and analytics within your talent acquisition programme . Do you remember when employees would start their career at the same company from which they would retire in 30 years? Do you recall the days of advertising job openings in the newspaper on Sunday and receiving CVs in the mail? Well, those days have gone the way of the dinosaur! Now, we live in a fast-paced global economy where technological innovation has made nearly constant change inevitable. When we talk about talent acquisition today, we use words that didn’t even exist just a few years ago: mobile, SEO, video interviewing, social media, gamification, and talent networks. Savvy, innovative organisations realise that they must keep up with evolving trends if they want to come out ahead in the war for top talent. Talent acquisition teams are wholly dependent on external, candidate facing technologies which are capable of evolving at a pace with which large ERP and HRIS solution providers just can’t keep up. Only a dedicated talent acquisition suite is able to keep your company's recruitment efforts ahead of the curve. Members of the talent acquisition team are brand ambassadors who are equally responsible for supporting and protecting the company’s reputation as is the marketing department. Why is a company’ s employment brand equally important to the company’s consumer brand? Because candidates are simply customers who want to work for you and, like with every other ‘customer,’ word-of-mouth advertising can make or break a company. In order for the talent acquisition team to present your company in the most attractive light, members need access to the best possible tools for their job. This underscores the importance of having consistent and strong brand communication at all levels in the talent acquisition process: from branded career portals, to recruitment marketing materials, to day-to-day candidate communications. Only a wholly integrated talent acquisition suite can guarantee this type of consistency. 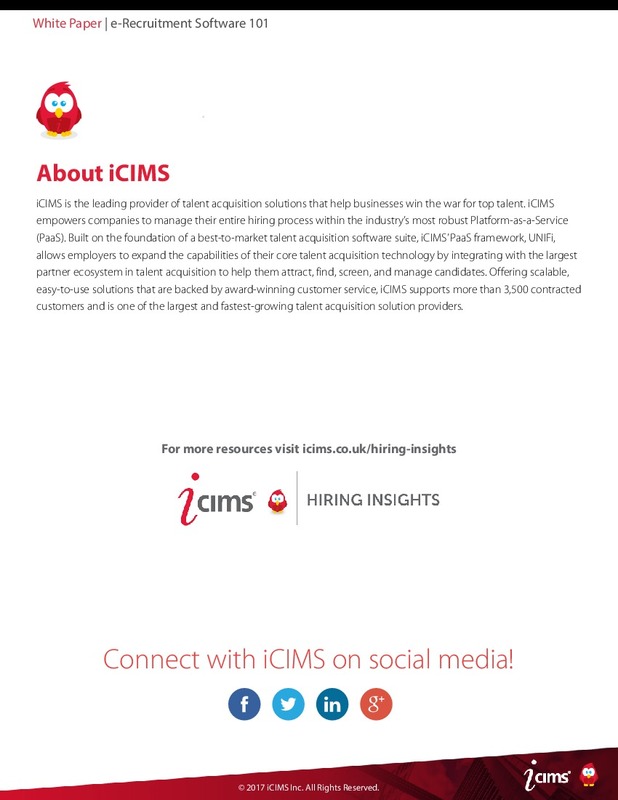 Furthermore, it is important to remember that your line managers are the talent acquisition team's customers. For the good of the business, line manager satisfaction is also paramount. The many features and benefits associated with a best-­of-­breed talent acquisition suite help to streamline processes and improve line manager satisfaction.